We have just one wish, may there be Peace on Earth. Nov 14-15 The entire Muslim world comes to a halt for the Celebration of the year, Idul Fitri, the major holiday that follows the fasting month of Ramadan. It is traditional for family members to return home and celebrate the holiday with a feast and gifts. Not unlike the western celebration for Christmas. People put on their Sunday best and beg each other's forgiveness for wrongs done during the past year. Mon Nov 8: Jamal travelled home to Bandung for the Idul Fitri holiday. Jamal departed at 1115 for Jakarta with new discount airline Lion Air and then to Bandung by 2½ hr train from Jakarta. Lion Air don't fly direct to Bandung. They are waiting for a runway upgrade. The Lion Air discount ticket was only A$12.30 extra compared to the 26 hour bus. The flight takes 1h 20m. Jamal returned to Bali on Nov. 20 again with Lion. Sun Nov 14: Idul Fitri Day we held a special Idul Fitri dinner at Warung Sobat for our Muslim friends who couldn't return home. Indonesian police "have been vigorous in tracking down and trying to bring to justice those responsible". Tue Nov 2, a small crowd gathered at the KHO to watch the 2004 Melbourne Cup horse race, direct via KHO satellite from Australia. chilled chicken and lettuce sandwiches. Due to the absence of champagne, warm French Alexis white wine was served with gourmet ice blocks. Sponsor of the A$4.6M Melbourne Cup was Dubai Emirates Airlines. The second time winner was Maybe Diva, owned by a well known, Australian tuna fisherman and mounted by one of Dr Geoff's few surviving ex-patients, jockey Mr Glen Boss. To add to the enjoyment the KHO ran a Rp 200,000 sweepstakes. The winner of the Grand Rp 200,000 prize was Pak Andi, who plans to invest the prize for his future. John's mum Nancy would like to wish everyone Happy Christmas and a Safe and prosperous New Year. The evening of Nov 8 bought the first big thunderstorm of the season to Bali. A sign that rainy season is on the way. From Nov. 20 we have had rain most days. Nov. 6: Jamal's grand nephew Dede arrived at the KHO for a another stint to look after the house whilst Jamal is in Bandung and John is in Australia. In preparation of partner Andi's 28th birthday, Ines went fishing at Canggu and caught this huge crustacean. She plans to put it in the blender and make lobster paté. Perennial visitor Sheila arrived in town from Vancouver, Canada via Hong Kong, during the month, with her friend Les, a taxation accountant from California, USA. This is Les' first visit to Bali, he says "it's better here than in the Bush"
weeks for the car's delivery from Japan, with further delays due to the recent typhoons in Japan. The all new Mazda 3 is a replacement of the old Mazda 323 first released in 1977. It features, new styling, new engine, 4 wheels and big airbags. At first we thought Denny had bought a new stylized grill for his new car, no, it was for the kitchen. Annie Gregg of Canberra, Australia is our latest new subscriber. She signed whilst visiting Bali with her daughter Tate. Annie runs a promotions company in Canberra, Presentations Plus. We also welcome this month Robert, Frouke & Crista - Holland, Kevin & Julie Warrington - Australia and Les - USA. We hope you enjoy. Mid November we travelled down to Padangbai to spend the night. Padangbai is 55 km away & takes about 1½ hours by car. Ironically, I would have passed through Padangbai 50 or more times over the last 23 years as it is the port where the car ferry leaves for Lombok. places to stay priced form A$6-$12 per night including breakfast. We stayed at Kerti Beach Inn roughly in the centre of the 300 meter foreshore. In Padangbai there are many small restaurants on the beach selling very fresh seafood as well as a couple of upmarket restaurants. The afternoon we arrived the son of the owner of Kerti Bungalows was having his 8th birthday party. We thoroughly enjoyed Padangbai and will return soon. Every month for 22 years, Ian Davey has run a film night at his South Yarra home. Ian has now sold his house "Langham" and will soon move. Sun Nov 7 was the final film night at Cinema Langham. Ken makes a speech to thank Ian for all the wonderful times and entertainment from over 350 films, that he has put on for friends at Cinema Langham over the last 22 years. The ever slaving Stanley did all the special finger food. We changed from the standard dry white to champagne as part of the special festivities. This may be the end of an era, but will be the start of something bigger. Currently Ian is looking for a new home, the pre-requisite is that he will be able to build a dedicated cinemaette complete with opening and closing screen curtains and a complete Dolby Soundette system. Ian is one of the last in the world to show 16 mm films. Virtually impossible to rent anymore. Ian has a huge personal collection of famous movies. His two prized well maintained German made 16 mm Bauer projectors are collector items. 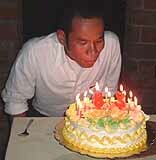 Thu Nov 11: A crowd gathered at Sobat to Celebrate Andi's birthday. Pak Made excelled himself with a fantastic 4 course Balinese feast with real sea lobster, thanks to Ines. BALI Nov. 17: We celebrated the 6th anniversary of moving into the KHO Villa on Jl Petitenget, Kuta Bali. we see many street dogs everywhere. They are mangy, starving and sometimes dangerous. They are left to fend for themselves and roam freely on the streets and beaches, around restaurants and in tourist areas. Their large numbers and extremely bad living conditions create an unsafe and unpleasant environment for everyone. number of puppies born on the streets where few have a chance of survival hoping to make a difference by channelling money towards medicines and food for the animals. Volunteer vets treat skin ailments, broken bones, worming and vaccination against the deadly parvovirus and distemper. If you would like to make a donation please email. Due to immense demand the KHO News, now present the KHO RECIPE BOOK. The book features a collection of recipes previously published in the KHO News and some others, never before published. The KHO Recipe Book is available as a FREE BONUS download to all our subscribers. So folks you can now print it out and stick it up yourself - on the wall. The complete story is now on-line. Slice onion, crush garlic. Cut tomatoes into small pieces remove skin. Cube beef, remove fat and toss in flour. Fry the onions & garlic until clear. Fry the meat until brown. Drain oil back into pan and add 3 beef stock cubes, 1 Tbl spoon of flour and dried basil, add more oil if needed. Stir and slowly add water, stir until it thickens into a sauce. Place all in cooking pot, cook on very low heat for 2-3 hrs. Just before serving stir in coconut milk. Sprinkle parsley on top, serve on rice or your favourite pasta, with a green salad. Indonesia, under an arms embargo by the United States, plans to buy more Russian fighter jets and is looking to East European nations for alternative weapons procurement, a senior official said. Before the embargo, about 70 percent of Indonesia's military weaponry had been imported from the United States, with the air force especially reliant on U.S. equipment, Director-General of Strategy and Defence Sudrajat said. "In future we will add more Russian made Sukho27 & 30's. lifting the fighter to an angle of attack of over 90deg. to its line of flight, causing abrupt deceleration until it nosed back down. Few aviation experts believe that the Cobra manoeuvre has much combat utility, but it is undeniably a spectacular airshow trick. Engine: 2 Lyulka 27,557 lb thrust. JAKARTA (AP): Indonesia's top budget airline Lion Air said Saturday that it has leased the little-used old international airport in Jakarta as part of a bold plan to expand its fleet. The airport is primarily used by top government officials and the air force. The decision came after efforts to build a terminal at the country's Soekarno-Hatta International Airport fell through. The company will lease the airport for 25 years and begin service there in early 2006. Until then, it will use Soekarno-Hatta international airport. The company announced last month it was purchasing 25 new planes, which will make a total of 50. Later this year Lion Air, the countries 3rd biggest, also plans to add several international destinations including Australia. Bandung: Half of the 12 members of the Asian Network of Major Cities 21 have expressed their commitment to go ahead with the development of a regional passenger jet, based on the Indonesian developed N-2130. The N-2130 aircraft was developed by Indonesia's IPTN aircraft company. A prototype was built but never flew after the project was cancelled by the Soeharto government on the insistence of the International Monetary Fund, during the Asian Financial Crisis. The aircraft was designed by a 100 young Indonesian engineers under BJ Habibi, later to become Indonesia's 3rd president. perhaps make it sound like a studio recording. I felt quite chuffed at the praise and that Alf would specially request me. Whereas the real reason for my sound, was that the Outside Broadcast van's audio mixer only had a few channels, so after subtracting the microphones needed for the compere and commentators there were only a couple of mic channels left. All I could do was string a mic way over the top of the band and another on the double bass. So naturally the sound was very much an echo, however it did capture the atmosphere with all the clinking classes, chatter and the band. was there, the Governor General, the Prime Minister and all the usual bunch of Toorak socialites. 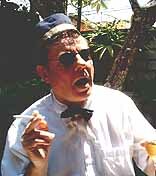 Geoff McComas, from 3DB radio station was the master of ceremonies for many years. For many years, the Miss Australia Ball was televised to an audience of millions, becoming one of Australia's most popular and productive fund-raising events. They also offered young women an opportunity to directly contribute to a worthwhile cause, build self-confidence, and hone new skills. Many title-holders went on to successful careers in business and the media because of the experience and public profile they achieved through the awards. Miss Australia: A Retrospective 1908-2000 is a stunning record in words and pictures of a unique annual event that lasted almost 100 years. like Tania Verstak and Rosemary Fenton, to name but two, were front-page, banner-headline news, to the grand finale in 2000. Beryl Mills became the first Miss Australia in June 1926. The 19-year-old was born and grew up on a sheep station near Geraldton. Penelope Plummer another Miss Australia Quest winner. 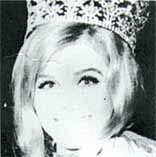 She went on to become Miss World in 1968. The original Palais de Dance was the now, still standing, Palais Theatre, built in 1913 by the Phillips Brothers, later it was turned into a cinema and a new Palais de Dance was built next door. The Palais de Dance was a showplace for different bands, including those of Jim Davidson, Ern Pettifer, Sammy Lee and Bobby Gibson. The Palais de Dance was very pleasant on a balmy evening, when the doors were opened to the sea and and stars beyond. Each year the Palais de Dance hosted the Miss Australia Ball and Beauty Quest. The Palais de Dance was sadly destroyed by fire in 1968.